Avast there, Pirate week continues! 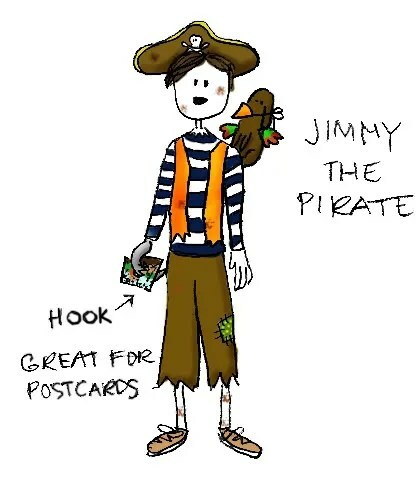 Here is Jimmy as a pirate… Equipped with a postcard hook. Oh the innovations of these modern pirates!